The stone vaulted ceiling is intact! 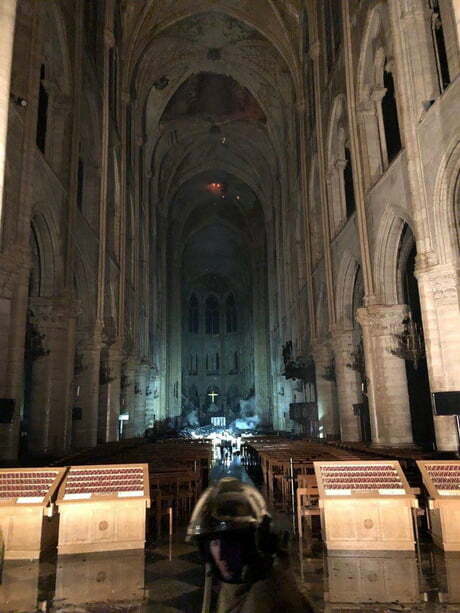 The hole was caused when the spire collapsed down through the vaulted ceiling. The fire damaged the original roof and attic space but the sanctuary survives!! To all wives out there! Is possible to learn this power?